Best Value: BestComfort is an apartment-hotel, 10 stories high, with 60 beautifully decorated rooms that you will find in any big name hotel. We offer you both a long term and short term stay. May it be a daily, weekly, or monthly rate. We give you beautiful rooms, nice clean beds, and all necessary facilities for your comfort at a reasonable price. It's always best value for your money. Best Feeling: Our staff is well known for their hospitalities and friendliness. 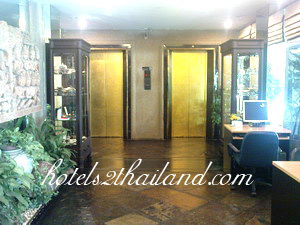 They can help you with where to go and what to see in Thailand. Our security is taken seriously. We have 24 hours guards for your safety, security CCTV for your protection, swimming pool, sauna, and electronic safe deposit box in your room. Furthermore, we are working toward an environmental friendly hotel with an energy saving and efficiency resources management. I often stay in this hotel, and this time I noticed the bath room was nicely reformed which is very good. 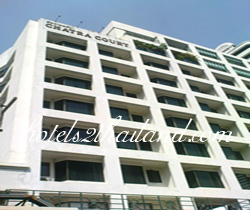 We stayed 3 weeks in a two bedroom executive serviced apartment in this hotel. I would definitely not describe it as "executive". Some really basic things were missing, such as: the first apartment we were put in had a wooden floor that had been flooded and formed huge buckled "hills" all through the lounge. Also, the fridge did not work (sort of important in such a hot climate). The staff agreed to let us move to another apartment. This time the floor was fine and the fridge worked but still, no toaster, no kettle, no microwave. There was a small cooktop but no pots, pans or things like a cutting board, bread knife or any other knives for that matter. The cleaner came in every day and did a good job tidying but the apartments need a renovation.... the bath and the tiles need replacing (at least the grout needs replacing as it is a bit gross and beyond just cleaning!) And the curtains need to be urgently washed, supposed to be white but they were litterally brown. On the positive side, the breakfast was fine for the price and I was not expecting anything more. The pool was fine and the gym looked fine too. The location is great, only a few minutes walk to Terminal 21 (large, nice shopping mall) where the sky train and the underground can be caught. Also, there are always taxis around and the staff are great organising you a taxi. Right next door there is also a travel agent who can book day trips and longer trips. The size of the apartment is great, the aircon works fine, the TV has a large selection of channels and wifi is available at a good price. I cannot understand why the owners would not just do some of those basic things like providing a kettle and a toaster and knives and forks and some bowls.... How expensive could that be? The staff is great! If I owned that hotel, I would actually invest in them by providing them with some English lessons. It would make their lives easier and be an investment in their futures. 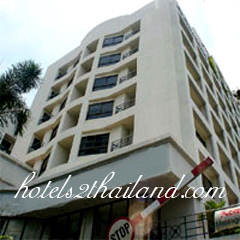 We have staed in this hotel many times and the whole family like to stay here. Its maybe not a big hotel but the location for us is perfect and with two bed rooms a livingroom and a smal kitchen is it simply perfect.